Thanks for coming to The Wedge 2018! Save the date for next year, October 5, 2019. Join the mailing list below for updates and discounts, and follow us on Facebook for the latest news. The Wedge is a Farmers Market-style festival celebrating cheese and everything that goes with it. Sample and purchase local, artisan cheese, specialty foods, beer, wine, and cider. Bring a cooler and stock up! This is an indoor and outdoor event and will be held rain or shine! Saturday October 5th, 2019, 12pm – 6pm. This is a family friendly event that is open to cheese lovers. 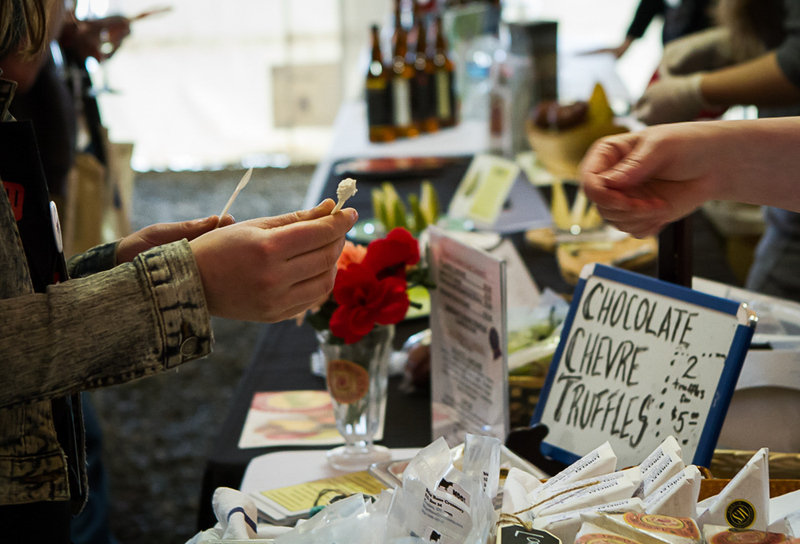 Sampling cheeses and specialty foods from our more than 75 vendors requires purchase of a tasting ticket, available in advance for $15 or at the door for $20. Beverage sampling and VIP tickets are also available. All tickets come with a $5 voucher to purchase your favorite new cheese! Kids 12 and under are free. Tickets are no longer available for advance purchase. Tickets are available at the door. Proceeds go to the Oregon Cheese Guild, a collaborative effort to increase awareness of Oregon’s artisanal cheeses, create educational opportunities, and provide a platform for cooperation and shared resources among Oregon cheesemakers.